One of the most vexing issues in camp nurse practice is the presence and management of parasites that use humans as hosts. These "bugs" present a special challenge in the camp setting because of close group living and communal activities of our campers. Parasites that use humans as host tend to have a stigma of uncleanliness and poor social standing, as well as being generally upsetting to bot the camp population, and the parents at home. Below are blog posts that provide succinct education on the most common parasites and gives some tips for how to manage an outbreak. Bed bug infestation is an issue that is very specific to camp nursing as a specialty. We as camp nurses are on the front line of identifying infestations, and are often looked to for information on how to approach an infestation. We will discuss the particulars of bed bugs, how to assess and address infestations with the camp management, and how to treat patients suffering from the effects of a bed bug infestation. They say the only things in life you can't avoid are death and taxes. If your a summer camp nurse there is one more...lice. Every year at just about every camp there is some degree of lice infestation. I'm going to identify your enemy, give objective and factual options for treatments, and attempt to address the special challenges about controlling and treating lice infestation in the camp setting. . 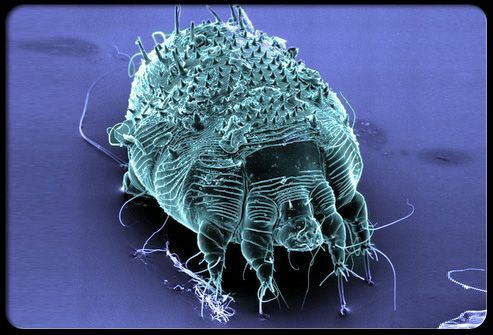 Although not as common as lice and bedbugs, scabies remains one of the most common skin disorders, and it effects persons of all ages, races, and income levels. It is spread by prolonged skin to skin contact with and infested individual, and occasionally through casual contact, or the sharing of clothes, bedding, or towels. The group living, and a frequent potential for prolonged physical contact between campers makes scabies a topic of concern for camp nurses.